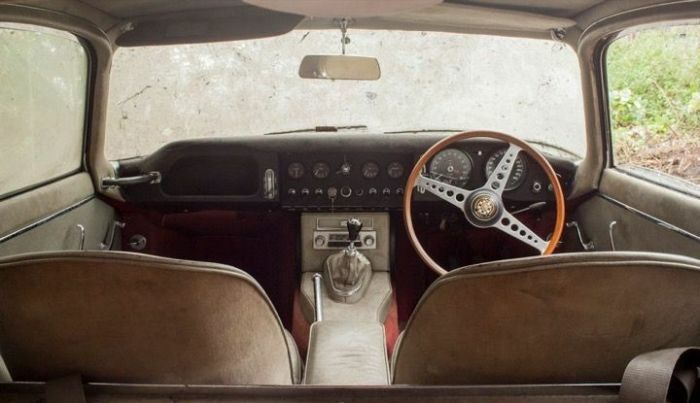 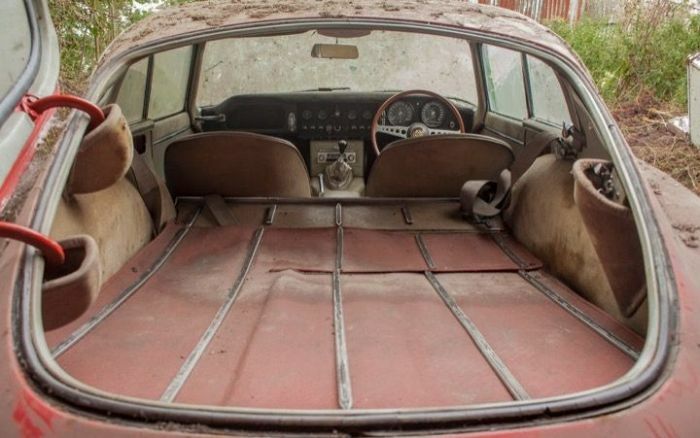 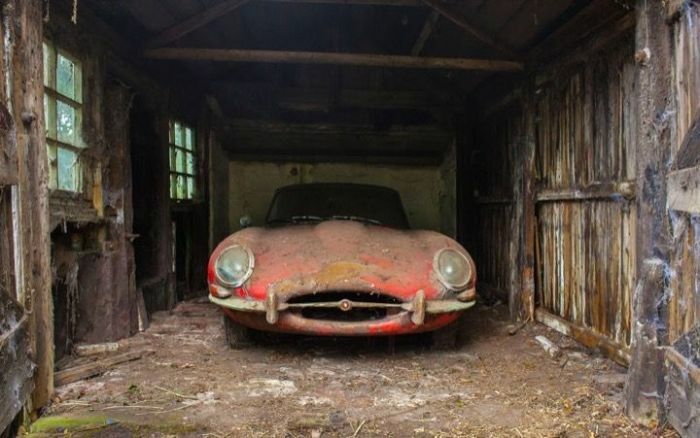 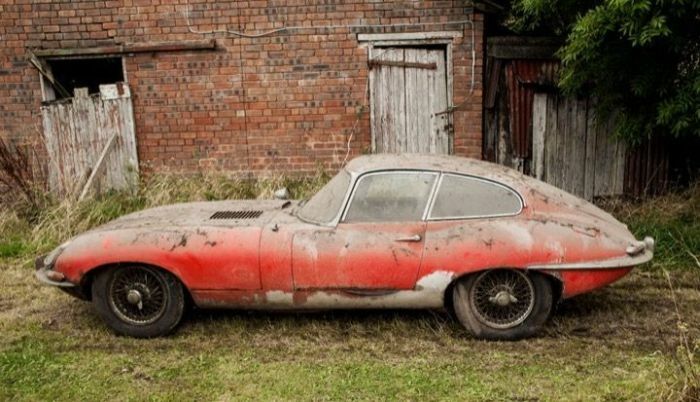 A Jaguar E-Type 1964 is a terrible thing to waste. 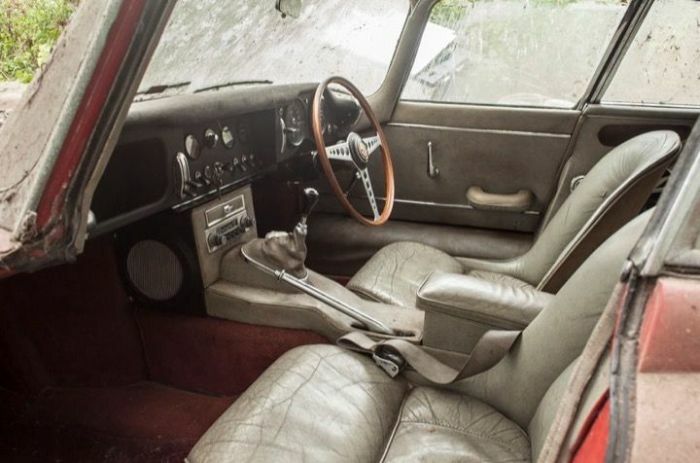 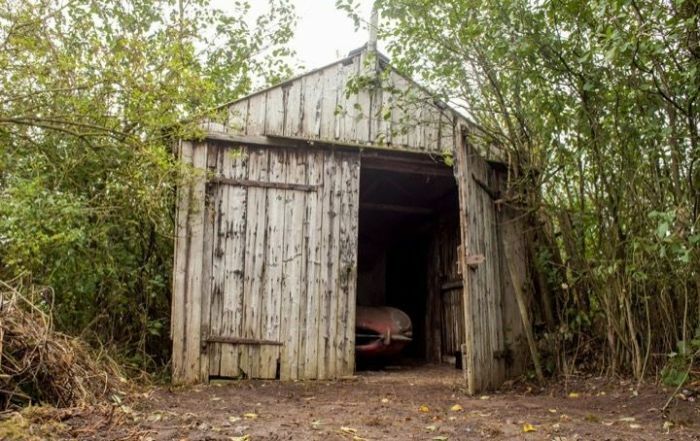 When a family in England inherited a house with an old garage they decided to take a look around and that's where they found the classic car. 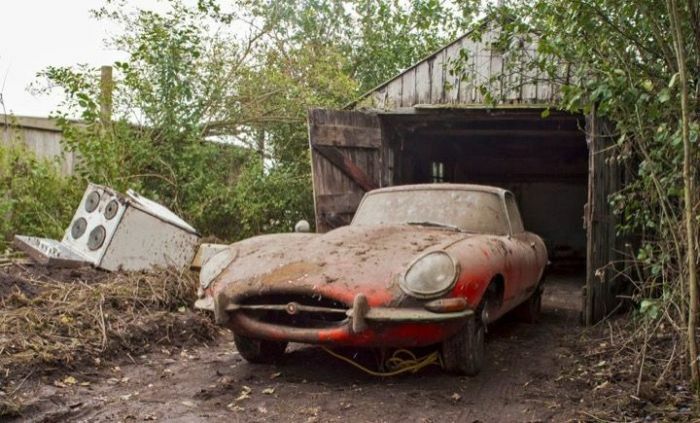 It was later purchased at auction by the Imperial War Museum at Duxford, in December 2016 for somewhere between 35-45 thousand pounds. 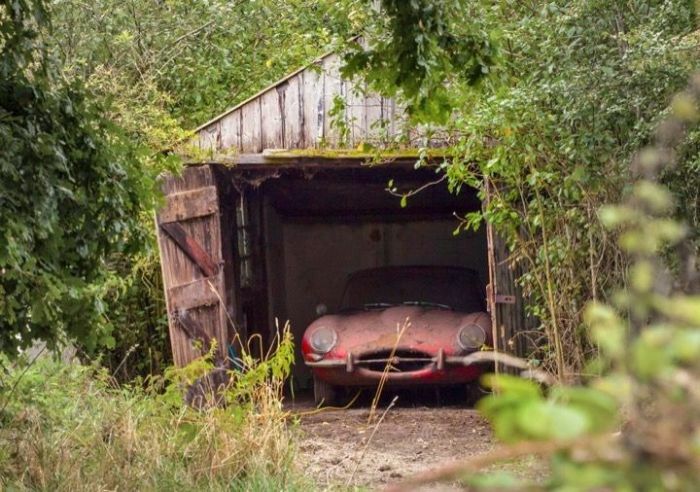 They could have lifted the hood ... beautiful find though. 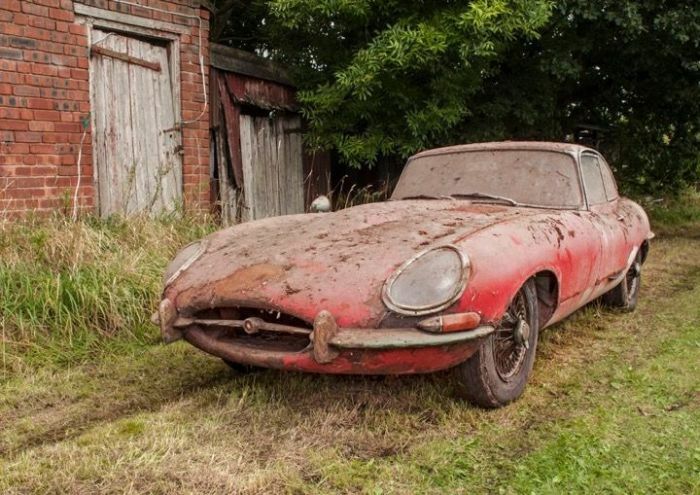 They could have at least washed it for the last pic.